Danielle Crespo (USA) – Danielle has worked in nearly every form of motorsport primarily focusing on hospitality brokerage and business-to-business partnerships. She’s been involved with premier global race series , including Formula 1, WEC, Formula E, IMSA, and now NASCAR. Deepali Ramaiah (IND) – Marketing strategist with an MBA in Global Marketing & experience in engineering services. She is an occasional F1 writer for f1pulse.com, The Youth Express with keen interest in motorsport sponsorship & assists Fox Sports Asia with F1 Grand Prix analysis. Ben Willshire (UK) – Ben is MD of Driven International, offering design, feasibility, marketing and sustainability services to international sports, leisure and motorsport facilities. Recent projects include designing the Silverstone FIA WRX track, Pembrey circuit upgrade and achievement of the Wales Rally GB FIA Environmental accreditation. DR – The idea had been floating around for some time now – that Honda had been looking for another manufacturer. Clearly being part of the McLaren environment wasn’t helping Honda, in the sense of getting multiple sources of feedback from the cars, with multiple teams having differing set ups. I assume this is what Honda wanted to do right from the start but perhaps didn’t have the go-ahead from McLaren to begin with. Honda would have wanted to have data from multiple teams, to improve their power units in a similar way to how Michelin operated in the early 2000s when they had a wide spread of teams – from competitive to not-so-competitive – and were able to produce the best tyre at the time so I am assuming Honda wants to do that. That being said, some TV broadcasting sources (probably Dutch TV) are saying this is probably the first step for Honda in returning to a full works team – which in all honesty, given where they are right now it doesn’t seem like a good idea! Another thought that came to mind was whether McLaren agreed to this deal so they can use Sauber as a B-Team for their junior driver such as Nick DeVries (similar to how Haas or STR are for Ferrari and Red Bull respectively). Perhaps Honda may use it as well to groom drivers that they sponsor. Also, due to budgetary reasons, Sauber has had to run a year-old Ferrari engine due to cost restrictions (which is still expensive) so they might as well spend the money on a current Honda engine at a fraction of that cost. A year-old Ferrari engine supply is approximately $50 million a year – not sure how much the Honda engine is but probably not that expensive. PS: I’m sure Ken will agree – no victory or defeat is permanent in Formula One. So Honda has been having a rough patch for a while now but things could turn a corner anytime now. Development in this sport is non-linear; breakthroughs can happen anytime and Monisha will be laughing her way off. It is a routine business transaction, that’s how I see it. But I accept evidence is not on my side! BW: I agree with Deepali – it comes down to the finances. We don’t have full visibility of the deal and if the decision to move to a Honda power unit is reliant on keeping the team going, then they don’t have much choice in the matter. I think the Moderator referenced Lewis Hamilton earlier in the session; When Lewis left McLaren to go to Mercedes, a lot of people thought he was bonkers based on comparative performance of the two teams at the time. Obviously, he took a calculated risk – he would have had sight of data at Mercedes and discussed their plans. So I’d expect that Monisha would have done the same due diligence to gain sight of the Honda development plan and how they intend to resolve the current issues. So time will tell whether or not it’s been the right decision. The risks are high in the short term but may be needed to keep the team alive. KP: The comment on cost pressures is correct and teams are constantly looking for ways to save money and manage cash flow, but I do think this is a leap of faith. They are probably looking at next year with a Ferrari engine – and perhaps another year-old engine at that. This might be trying to shake things up, trying to do something different, change the business model to the extent that the Japanese can bring a different mindset, a different way of doing things. But as it has been pointed out – after yesterday’s result [Sauber scored their first points of the 2017 season at the Spanish Grand Prix on a year old power unit] they didn’t do too badly. The Honda choice may be a way to keep themselves relevant while also keeping their fingers crossed …. so, a leap of faith is the underlying theme on this. GJ: For me, it would be scary to sign such a deal. We also have to think about the Honda philosophy in F1 in the past and also in MotoGP. It has always been: “the engine is alright”. The voice of the driver or rider is not the main one – the main thing is to move forward on the engineering side. This would be scary if I were Monisha – even though money is money and that is what counts – but looking at what is happening with McLaren and Honda right now, the relationship is falling apart this deals not something you would sign if it wasn’t for the money. Now you can see how Marquez and Pedrosa are struggling with the (Honda MotoGP) engines in the past few years and Honda is not really helping them out – they are working independently and not listening to riders. So for Sauber being in this position – the last few years they have been trying to survive so maybe that is the only reason why they signed the deal otherwise it is a suicide tendency. Also we have to understand and remember that McLaren had an exclusivity deal with Honda for the first two years and Honda was discussing the deal with other teams for a year and ½ so the “choice” of Sauber is down to the costs involved. DC: It comes down to costs and perhaps a balancing act. Who needs who more – does Sauber need Honda or does Honda need Sauber? It would be interesting to see what will happen as they go forward. It could be that Sauber could be in a position to ask for a bit more of support from Honda than from another manufacturer because they have more money to prove themselves or could be vice versa. Either way, it would be a good testing ground for both of them to try out different things that there would not have been able to trial with other manufacturers or teams. KP: I would just like to add one small visual image when I was at Spa last year. 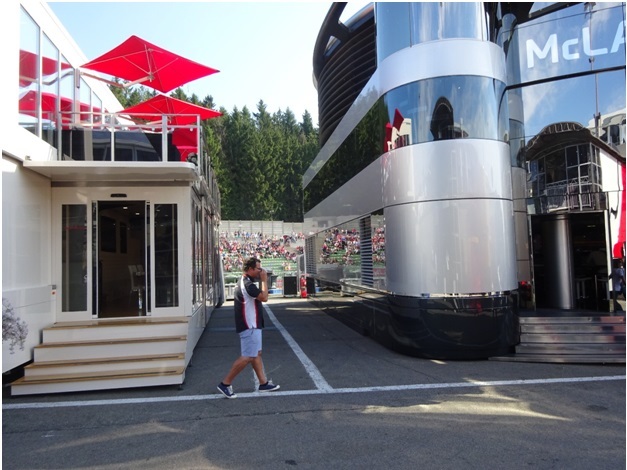 You could see the McLaren and Honda motor homes right next to each other but the gap of 2 metres between them was very telling of the cultural conflicts they were having about a year ago – there wasn’t a doorway or a or a passage way between the two so that they could readily be talking to each other. By the way, when BMW powered Williams, they had similar issues in terms of mindset and culture and that joint venture didn’t work as we know. So, it isn’t just about Japanese or British business approaches, any kind of collaboration between two different organizations and mindset can be very difficult. GJ: Of course you have to take into account 2008 when Honda was in F1 after they sold to Brawn and you know what happened – Jenson (Button) became world champion so it’s kind of a hard decision right now for Honda. There’s probably lot of pressure within Honda to break the deal and get out of F1 which is taking them nowhere. The results are what they are and probably Honda; they want to quit but they have to find some solution to recover some costs and I guess the Sauber agreement helps keep the deal afloat. Q2: Maintaining driver morale and motivation in difficult times—what are the additional benefits of “releasing” Alonso for Indy500? How might this tie into Liberty’s comments about hosting a second GP in USA? KP: The first question is, what’s in it for McLaren? Apart from motivating its driver, there might be some additional elements that Zak Brown is working on in terms of positioning McLaren internationally and where he wants to take the business in future. What is in it for F1? You would expect this to give a boost to the awareness or popularity of F1 in the USA. But the reality, at least in my experience, and maybe Danielle being based in the USA can say more, is that F1 doesn’t really register on anyone’s radar in the U.S. I had a chance to chat briefly with Ross Brawn while in London last week and I mentioned this to him. I said – a second GP in USA would be great but what we really need is a US driver, but that’s going to take some time. Unless Rossi can come back into F1 or Ferrucci can be developed quickly with Haas support, it is hard to see. He had a great answer – he said that means we have a lot of growth potential – we have a lot of minds to change. Then the question is “How?” but that is a whole other story! I think there is something here to keep Alonso happy because if he walked, who of that calibre would want to go drive for McLaren next year especially? One other thing, I was reading today that Mark Miles, who runs the Indianapolis Motor Speedway said after the Alonso to Indy announcement was made, he received 50 calls from journalists in Spain and Europe, and but very little from anyone in the U.S. So as I said, this is more for Alonso, less for F1 at this stage but I hope he does well! DC: For me, it is fascinating because motorsport is a far reaching entity – millions of fans around the world but in reality the people making the decisions are such a small pool, and their network is expansive. So when you have someone like Zak Brown who came up through his own means and with all the reach he had – JMI activation, sponsor etc and now his current status – take that combination of power with his relatively young age. He’s old enough to connect with the high court of formula one you could say. He’s in such an amazing position to influence the sport not only in F1 but in so many areas. Alonso doing test laps attracted two million viewers across the world. So this is a show of power as well – it’s incredible that he makes it look so easy. I have a lot of respect for what he’s done to bring this much attention to what should have been the normal event. It created a huge media fire storm and some of us saw some interesting articles from certain journalists which continues to fuel interest stateside. In reality it is a great attempt to create fans for multiple sports series. BW: Driven International have several live projects in the U.S at the moment. We’ve seen over the past year, that there has been a huge growth in the U.S. for new race circuits and it’s interesting that circuit builders and developers have been contacting us in the UK. And speaking to some of our clients, F1 is becoming a common interest that we can talk about more together – our US clients watch the F1 races and talk to us about things they see in the sport. Everything we have done in America previously has been more far more about GT car racing or private driving clubs as an observation of current trends. On the Alonso at Indy 500 topic,I hope he does well – putting his name alongside legends like Graham Hill, Jim Clark and Nigel Mansell of course. What a great achievement it would be if he could win this race. Of course you spoke about the press for Honda earlier if they can do well at this race then it suddenly negates some of the bad press they have been having in F1. On the other hand, it could amplify the situation even more if the engine fails. I think the driver morale aspect is lower on the list of reasons for Alonso competing at Indianapolis. In my view, it is more about the wider PR and advert for F1. 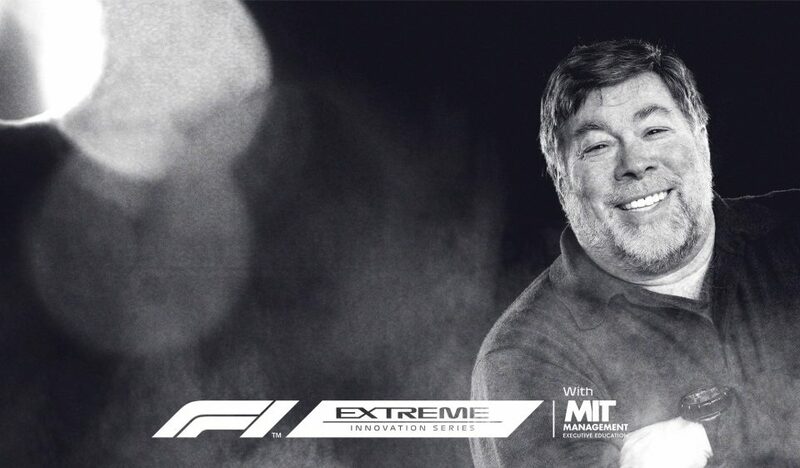 McLaren Group is also a commercial business and they export to other markets so if this goes well I am sure they can leverage this to further expand business into the U.S.
GJ: I think it is a very smart move for F1, McLaren – it is a PR trick for Alonso and for F1. Alonso probably will do well. Rossi showed last year when he won. But of course it’s for McLaren to silence Alonso, to give him time and give him some motivation to stay in McLaren. For the team, it is created a lot of headlines – more than probably throughout of the whole year. I don’t know if this will help him stay McLaren – as we saw in the last few weeks his declaration that he is going to choose the best package for him and probably McLaren Honda will not be the one. So we will see what happens there but PR-wise, great move! You have to know what you capable of and Alonso must think that he can win. PS: Very little to add – most have been pretty much has been covered by everyone and I agree with all the views. To me, Alonso is a minor part of the story – yes, he needs to be kept happy but I think it’s more Zak Brown’s marketing outing to the U.S. I think it’s an exercise where he can probably attract a new bunch of new sector tech companies in USA – he is a shrewd businessman. DR: Agree with everyone – it is a PR outing to enhance McLaren’s presence in the United States. Something Danielle said really stuck with me: Zak Brown was with JMI (which is now CSM) – call me cynical but it feels like he is still very much involved in his old company, and it feels like Brown is in the USA to sniff out new sponsors so perhaps leveraging CSM to good effect. There were also reports in the media that Chase Carey wasn’t very happy to have one of F1’s star drivers at Indy rather than Monaco. I can get his point because Carey knows Alonso draws a large audience primarily from Europe, so several people might tune into the Indy500 rather than F1 that weekend. That doesn’t do much to raise the profile of F1 as being the top category of motor racing for one of F1’s star drivers get his kicks in another motorsport series. So, I don’t think that Liberty are particularly happy with Alonso at the moment – since he is missing Monaco GP – which is perceived to be the jewel in F1’s race calendar. KP: Just one more point, it’s known that Zak Brown has been looking for a title sponsor. He needs the consistency of payments for 3 to 4 years to replace what Vodafone provided in the past. So this might be a way for him to go on the hunt. By the way, if what I read today is correct, Alonso will actually get to keep the car he drives so that he can put it into his museum in Spain. Maybe this is one additional perk he was looking for. Q3: Malaysian GP Promoter said F1 / Liberty needs to look to the success of Moto GP in improving F1. Aside from reducing hosting fees, what else can be done by the FIA / FOG to improve attendance and engagement at race weekends? DR: To summarise this question, the circuit promoter for the Sepang track said that the new F1 bosses at Liberty appeared to be waiting for race circuits owners to come to them rather than the other way around. There are interesting initiatives that MotoGP does to make viewers feel part of the race weekend and that helps with convincing people to attend MotoGP races – for example, a grandstand dedicated to a particular rider’s fan club. Obviously cost is another factor – for instance, at Silverstone, 3-day general access for Moto GP is £85, whereas a similar 3-day general access for F1 is £220. Clearly there is a cost factor involved so I’m curious what MotoGP brings to the table that F1 doesn’t – for the fans, and for the tracks. Moto GP races are always packed regardless of whether it is testing, practice or racing so what is it that F1 is doing wrong apart from just charging really high hosting fees? GJ: MotoGP is huge in Malaysia but it hasn’t always been in the past years. When we look at attendance numbers in Sepang, it started hosting MotoGP in 1998 it 65,000 for whole weekend. The thing that started the hype was in 2009 and this is the first time that they had a rider in 125cc class Zulfahmi Khairuddin. Then audiences grew and we look at the numbers, in 2009 was the first time the audience grew to over 100,000 people. And this is also the first year that that Zulfahmi appeared as a 125cc class. What was different in MotoGP and F1 is that MotoGP is already in the 21st century regarding the social media, the website, the whole package that the viewer gets when they buy the pass for the full year which is expensive which is all were €100 but the extra content you get is pretty mind blowing. Compared to F1 whose pass costs €29.00 per year. For instance, in the press conferences, they don’t just take questions from on-site journalists but they also have social media questions from viewers. So there are many funny stories and press conferences that happened this year. So I think MotoGP brings the audience along. Of course you also have to look at the audience of MotoGP. Those guys usually ride and when your bike, you care more about what happens on the track. Whereas we cannot say that every car driver is interested in F1 because it’s a matter of choice. That`s exactly what happened in Poland when we had Kubica. The audience grew to around 5-7m viewers for each race but after his crash and he left F1, interest waned and audience dropped to about 1 million. It’s always like this that you get the driver from a country and gets a lot of local interest. PS: Good MotoGP insight from Greg – I think the main points apart from the local hero phenomenon is that the two-wheeler market is so intrinsic to the competition and vice versa, given the brands that are involved. I know for a fact that two-wheeler manufacturers are constantly egging us on to create races so I can understand the push-pull from manufacturers and also explains the lack of the same in F1. One thing to bring to the table in terms of perspective – it’s not the mass public that brings F1 or MotoGP into the country. It is some powerful entity that decides to bring the sport to the country perhaps due to their affiliation and their aspirations, and the country ends up hosting the race. That’s pretty much the case in this part of the world (India) where governments or private entities funding such initiatives and it is purely driven by someone’s ego. Case in point – the Russian GP is definitely not from a public pull/demand. It’s not the case as the rest of world where people wanted the race and that’s why it happens. DC: Yes we can draw a multitude key experience for one if we had a star IndyCar driver cross over to F1 for a weekend! Though there are only so many times you can do that. When you talk about improving engagement and attendance you can look at it as a whole but you also have to compartmentalise this into different regions. In my perspective, United States might have one way of consuming F1. Other parts of the world have different ways of enjoying it. Overall, it comes down to access and costs. If something costs too much, the general population will complain about the price and stop coming. But if you are focused on paddock and hospitality and you’re hoping that everything else is going to fall into place, people aren’t really going to enjoy paying $5000 for hospitality options if there is no-one in the stands. You don’t want to bring your VIP clients to a race when there is no-one there. It comes down to whether the average consumer can afford to attend for at least two days. Me now being in the hotel industry, I need to make sure our clients can afford for 2-3 days so whether or not you have to reduce the show from 3 to 2 days so there are various ways to go about this. It is a whole ecosystem and it really comes down to accessibility, access (including via social media) and cost of the event overall. Moderator: How would you bring over from Indy to F1? DC: You have James Hinchliffe – he’s a great candidate. he is very personable. He has a lot of star power His PR is strong, he is well known in North America. Will Power is another strong candidate, he’s been doing quite well. Pagenaud is another great choice – of course, he is current leader in the standings. Rossi has shifted back and forth and that hand has been played out for now, unless something else happens with him but it seems Indy is where he will be staying for now. KP: Like all of you, I am trying to assess what Liberty Media will do to improve attendance and engagement. We’ve seen for example that they have introduced their F1 experience. 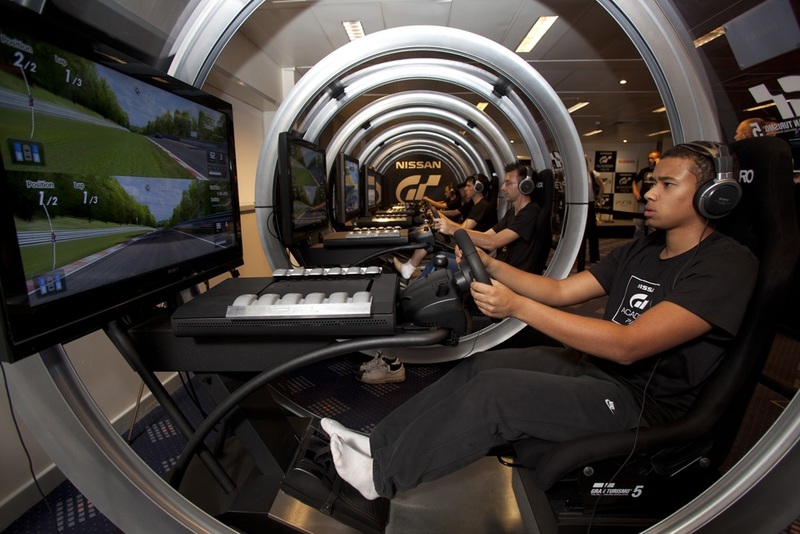 It includes a lot more inclusive package of meeting drivers, doing bus trips on the circuit, driving the circuit in a two-seater in Barcelona this week; generally designed to bring more razzmatazz, entertainment and engagement. More seriously or more academically, I know Liberty Media is doing a lot of research. Prior to this it was all run from Bernie’s gut. They are trying to get a better understanding of who the Formula One fan is; what segments are there. Ross Brawn commented for example that there are the heritage fan who have followed F1 for several years, there are fans of a particular team or a particular driver or from a particular country, or fans who like the technology. They’re trying to understand this better so they can roll out approaches to meet those people’s needs and aspirations. This has never been done before by F1. They have some good people working on this e.g. Sean Bratches who has many years’ experience at ESPN. They are also looking not just at social media but all the contacts points in order to expand the awareness of F1 around the world. 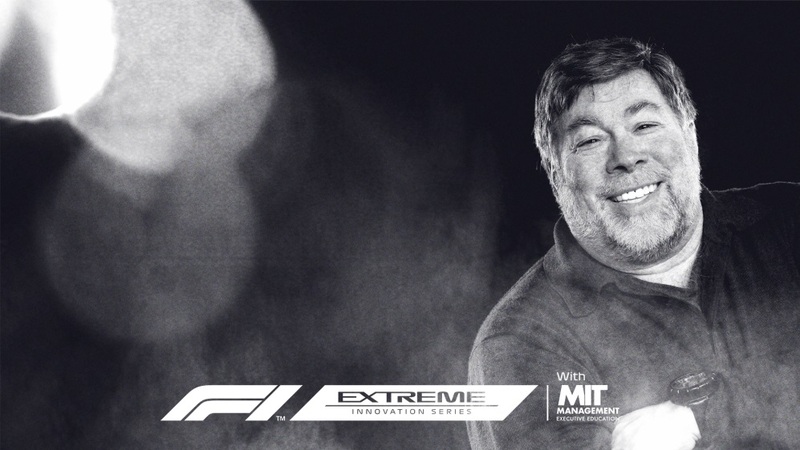 The other day Ross Brawn said that when he took the job, he asked Chase Carey: “What is the vision for all of this?” and Carey said to him: “That is your job – we’ve got to create one!”. So, we will see how Liberty Media will come up with the program. They are trying to figure out how best to apply techniques and methodologies that they have used in other entertainment and sports fields to F1 in a way that hasn’t been done before. It’s very exciting – let’s see if they succeed. Moderator: The GPDA runs the Global Fan Survey every year I believe they know what fans are asking for – Bernie just decides to do something else! KP: On this topic, Ross Brawn had commented that all the previous surveys have been done through Autosport or F1 Racing (Motorsport.com publications and websites), so you are asking people who are already engaged in the sport what they think and that’s not going to expand the fan base exponentially. They are trying to go well beyond the existing fan base. BW: Before I answer the specific question, one thing that is important for everyone to think about is the business model of F1 compared to other series. In my view F1 has become more aligned with something like the Olympics where it is a destination advert for a particular country or city – Bahrain or Mexico being a good examples. It has really put them on the map. As a circuit owner/operator, if you’re looking to host an event which makes money, F1 is probably not where you should be looking unless you have support from the government. That’s really the difference between F1 and MotoGP – this boils down to the sanction fees. And this is where Razlan is coming from with his comments. It was reported that Sepang was paying in the excess of $60 million dollars annually to host the F1 race and I’m confident MotoGP fees are nowhere near this figure. So as the circuit owners, MotoGP makes more sense from the outset. At Silverstone where we have the biggest attended GP of circa 300,000 people over the course of the weekend, the venue find it difficult to make F1 work financially because it is run as a private entity with no Government support and therefore the margins are so small once the sanction fee is paid. To answer the question about how to bring people into circuits, I think we should be looking at grass roots series in the UK such as British Touring Cars – it’s fantastic for access to drivers, to the pit lane, it has action packed racing. Same with Australian V8’s. And if you’re looking at World Championships, I was recently at the FIA World Rally Cross Championship in Barcelona and had full access to the Paddock with a regular ticket. You really felt like you could access everything and that is what F1 is missing – it is too inaccessible for “Joe Public”. To get fans to stay at races longer, I agree with Danielle’s comments about concerts and other events or festival that leads up to the weekend. In summary however and, in my opinion, Liberty need to first address the sanctions fees to get circuits more onboard as long term venues. GJ: Rally Cross is open and it was the same as World Super Bikes but the WSB fans base is dwindling because it was bought by Dorna who own MotoGP so they are struggling to divide the market. But definitely British Superbike series is huge in the UK and the weekends are organized are pretty much amazing. BW: By the way, I am not suggesting that we let 100,000 people into the Paddock but I think there needs to be more engagement for fans as a starting point. KP: From my contacts in Turkey, they are getting excited…. perhaps prematurely. But as you pointed out, with the French and German GP’s returning and Malaysia leaving, we’re up to 21 races. They are considering a second race in the States -something has to give. Perhaps bunching of the races back-to-back and making the traveling for the teams more bearable. Team members often talk about the number of weeks away from their families – it is amazing how much of their lives they give to the sport. Alonso has raced in Indy and although he led the race for several laps, his Honda engine blew out in closing stages of the race. He was voted Indy Rookie of the Year. Kubica tested the 2012 Renault E20 F1 car in Valencia. This was the Polish driver’s first time in a F1 car since pre-season testing for the 2011 season.